Whether it’s Star Wars, James Bond or a romantic love story, everyone loves a good film. While you have to have a reasonable level of English to watch most of them, there is no doubt that “going to the pictures” (as we say in Scotland) is a good way to improve your English. We know that many of our students like going to the movies and there are lots to choose from in Edinburgh. The main ones are listed below, with a link to each website so you can see what films are being shown. Cineworld, Fountain Park, close to the city centre. Vue, also close to the city centre, in Leith Street. The Dominion, in Morningside, also close to the city centre. Cameo is just on the edge of the city centre. The Odeon, Edinburgh, is in Lothian Road, just a few minutes walk from Princes Street (the main street in Edinburgh city centre. Edinburgh Filmhouse is also in Lothian Road. There are other cinemas too, so if you like films then you’ll be spoiled for choice when you come to study with Global School of English in Edinburgh. Visiting a new country for the first time is always an exciting experience. 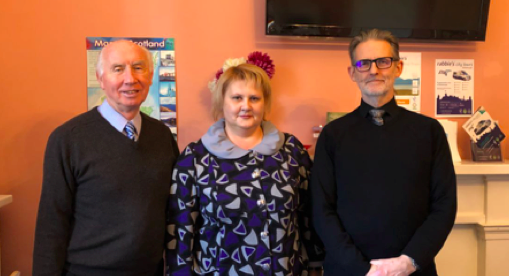 For us, as two English language academics from Novosibirsk in Russia, it was particularly interesting as we were in Scotland to meet Andrew Lennox, the President of three schools of English, based in Glasgow and Edinburgh. 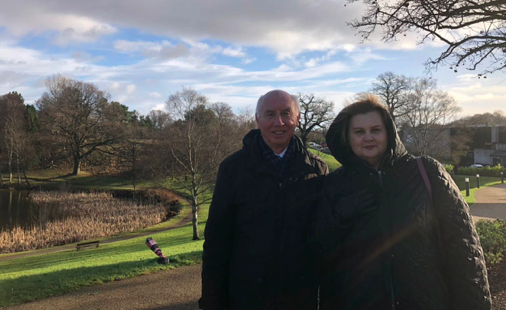 We arrived in Glasgow on 28th of January and stayed there for nearly a week, with various excursions to Edinburgh and other Scottish cities and also had time to travel around the beautiful countryside (it really is a very beautiful place). During our time in the city we were really taken by the warm welcome we received: everyone is very friendly and helpful. 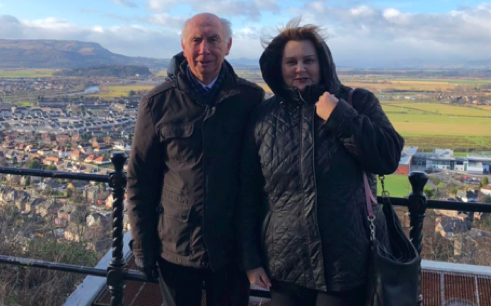 On the 29th, we went with Andrew to Stirling University, to see the purpose-built campus (see picture below) where Hamilton School of English holds its summer programme for young learners. Close by Stirling University is the Wallace Monument, an impressive tower that celebrates William Wallace, the Scottish patriot who led the war of independence in the 13th century (he is the central figure in the movie Braveheart). We climbed the steps and from the top (see next photo) there is an amazing view of the surrounding countryside, including Stirling Castle (in the background on the lower ridge behind Andrew), which is also well worth a visit. The next day we visited Glasgow School of English and then on the 31st we went to Edinburgh to view Global School of English (see next photo) where we met Duncan Fitzhowie, the Director of Studies. We were able to spend some time in a class in each School and were very impressed by the classrooms and the quality of teaching on offer. In both cities we went on “hop-on/off” tourist busses, which gave us a good idea of the range of buildings, museums, parks and other sites that are available for students to enjoy. Finally, on our last day in Scotland we went to Oban, north of Glasgow on the west coast and also visited Loch Lomond and the countryside around it. It really is very scenic and it’s no surprise that Scotland was last year voted the most beautiful country in the world. Throughout our stay we were very well looked after and had some lovely meals (see photo above! ), with Andrew and a few of his colleagues. 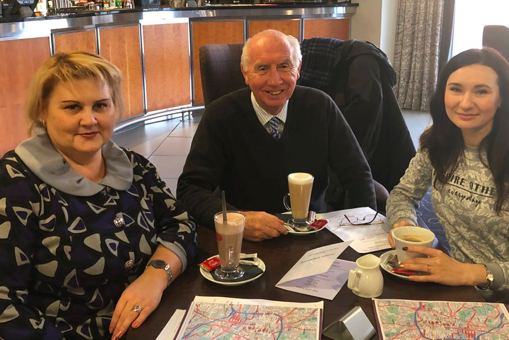 We took away an impression of a very safe and secure place where our students would feel at home and where they will be able to improve their English to a high standard. 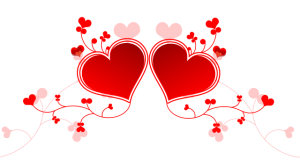 Although obviously a Christian Saint, St Valentine’s Day is celebrated in many non-Christian countries around the world and tonight many couples will have romantic dinners and quite a few people will propose marriage to their partner. However, did you know that the actual St Valentine’s relics (bones/mortal remains) are – probably – in Glasgow? Glasgow is only about 50 minutes away from Edinburgh by train and it is a very big city with a lot of things to see, including the box containing St Valentine! Saint Valentine was an early Christian martyr (someone who is killed for his or her faith) from northern Italy. A French family is said to have given his bones to the Franciscan monks who had established a church in Cumberland Street in Glasgow in 1868. Now we have to be honest and say that churches in Terni, near Rome, and in Dublin also claim to hold the remains of Saint Valentine, and it’s also said that the bones were divided between the three locations. Most people in Scotland had no idea about St Valentine’s remains and it was only when the Franciscans moved with the relics to the Blessed John Duns Scotus Church in Ballater Street in 1999 that the existence of the Saint’s remains became well known. Nowadays, anyone can go and see the small wooden casket in which St Valentine’s remains are kept. If you want to know more about this, or to go and see them, you can find out more at this link. What do (French) students think of Global School of English? It’s very important to language schools like ours to make sure that every aspect of our service – the teaching, naturally, but also accommodation, food, course materials, etc. – is of a very high standard. We do surveys every three months, but we don’t have many opportunities to get feedback from a number of individuals sent from the same partner agency such as Nacel our partner in France, so when we received a report from the Nacel agency we were interested to see what they said.